The team started camping during the Tabadamu 7s last month. All are unemployed and are primed to take part. 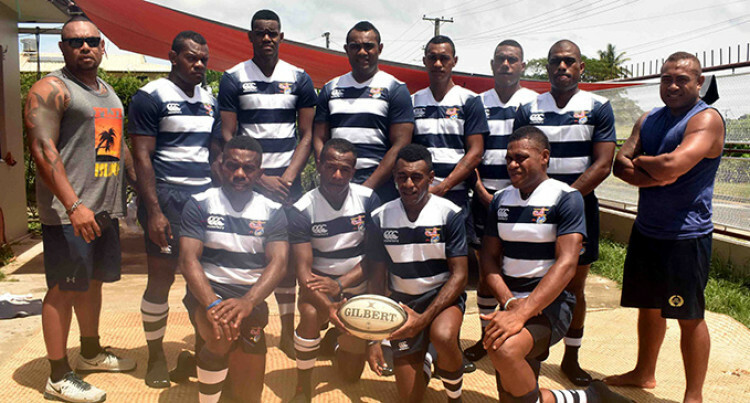 The Narere-based Kelland Brothers Rugby Club received a major boost ahead of the 6th Martintar 7s which kicks off at Prince Charles Park, Nadi on Friday. The side received sponsorship from Gallery Gondwana Fiji, owned by Rewa artist, Rusiate Lali in Denarau. Coach/manager Tevita Vulakoro said: “We are very thankful for Gallery Gondwana Fiji for coming on board. “These boys started camping during the Tabadamu 7s last month. They are all unemployed and are primed to take part. The team was formed in 2015 named after a street in Narere, Nasinu and has been supported by a family based in the United Kingdom. The side will be captained by Viliame Nadroya. Last year’s champion Wardens will kick of the tournament at 9am on Friday followed by the Police -Army game. The entry fee is $6 on Friday and $7 on Saturday and $3 for players under 12 years.